1. Richard Horton is highly regarded as an exceptional leader in global health and as a campaigning Editor of The Lancet in the best traditions of the Journal. 2. Politics is intrinsic to many health issues and a legitimate subject for health commentary and debate, especially in the world’s leading global health journal. Controversy is an inevitable and healthy aspect of public discourse on political issues. 3. The “Open letter to the people of Gaza” addressed an important topical issue, the main points of which have been substantiated by subsequent, independent, reports of what happened in the Gaza Strip in the summer of 2014, of which it is possible that some of the complainants are unaware. 4. To describe the Open letter as ”stereotypical extremist hate propaganda” is inaccurate and unhelpful hyperbole. 5. The Lancet provided equal coverage of views for and against the letter in subsequent published correspondence, reflecting the ratio of letters received by the Journal and allowing a healthy debate to take place. 6. The Lancet Ombudsman’s review of the issue was balanced and fair, highlighting the strengths and weaknesses of the letter and how the controversy was handled, for all to see. She was not persuaded that the letter should be retracted. 7. The Committee on Publication Ethics (COPE) is best placed to judge whether its Code of Conduct and Best Practice Guidelines have been breached. A previous Chair of COPE has written that the Open letter should not be retracted. 8. The heavy-handed attempt to force The Lancet to withdraw the Open letter is the latest in a series of attempts to stifle media coverage of the Israel-Palestine issue and should be resisted. 9. In the light of reports by Physicians for Human Rights-Israel, Amnesty International, Human Rights Watch, the United Nations and others, the “unfinished business” of Operation Protective Edge is to determine whether and by whom, from either side of the conflict, violations of international human rights and humanitarian law were committed. Scroll down to read the full response. Judith Deutsch MSW, Faculty, Toronto Psychoanalytic Institute, Former President Science for Peace (2008-2012), Canada. Professor Tor Ingebrigtsen MD PhD, Hospital Chief Executive/CEO, The University Hospital of North Norway, Tromsø, Norway. The names of the 240 additional scientists, clinicians and researchers who have co-signed this response since its publication can be viewed here. On 31 March 2015, 396 professors and doctors, led by Professor Sir Mark Pepys, submitted a complaint to the Senior Management and Board of Reed Elsevier concerning “egregious editorial misconduct at The Lancet that is unacceptable in general and also gravely violates your own published Editorial Policies”. 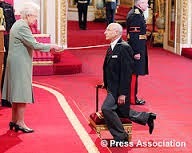 The signatories include 5 Nobel laureates, 4 knights and a Lord. 193 (49%) of the signatories are from the US, 95 (24%) from Israel, 33 (8%) from the UK, 26 from France, 19 from Canada, 12 from Australia with smaller numbers from Belgium (3), Brazil (3), Italy (2), Denmark (2), Mexico (1), Panama (1), South Africa (1), Sweden (1) and Switzerland (1). The complaint makes brief mention of The Lancet’s publication of the paper by Wakefield, linking MMR vaccine to autism, which was shown subsequently to be fraudulent, but is chiefly concerned with The Lancet Editor-in-Chief, Richard Horton, and his alleged “persistent and inappropriate misuse of The Lancet to mount a sustained political vendetta concerning the Israel-Palestinian conflict, to promote his own well known personal political agenda”. 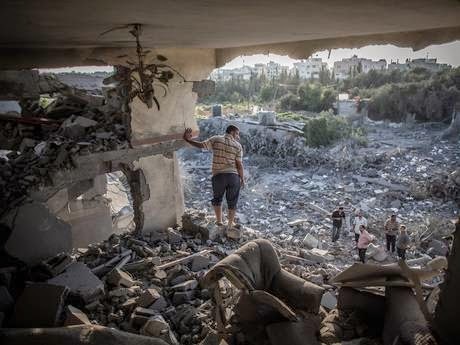 The centre of the complaint concerns “An open letter for the people of Gaza” by Manduca and 23 others, which was published online by The Lancet on 22nd July and in hard copy on 2nd August 2014, 14 days into “Operation Protective Edge”, Israel’s 50 day attack on Gaza. The complainants consider that this letter, and The Lancet’s handling of the controversy it aroused, breached both the Journal’s own policies and the Code of Conduct and Best Practice Guidelines for Journal Editors issues by the Committee on Publication Ethics (COPE). The complaint ends by requiring “Reed Elsevier to behave ethically by retracting the Manduca letter, apologizing for its publication and ensuring that any further editorial malpractice at The Lancet is prevented”. Israel began a major military assault on the Gaza Strip, the fourth in eight years. It lasted 50 days and was more devastating than previous offensives. 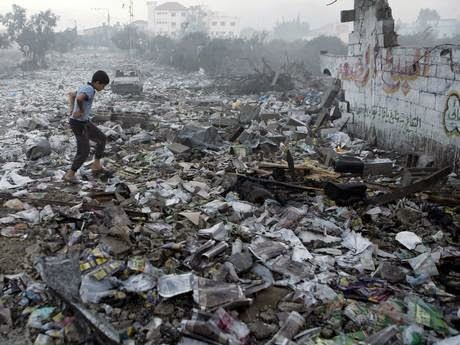 2,220 Gaza residents were killed, of whom at least 70% were civilians, including over 500 children. More than 17,000 residents were wounded and over 100,000 made homeless (UN OCHAopt, 2014). According to Israeli official accounts, 73 Israelis were killed: 67 soldiers and 6 civilians, including one child and one migrant worker. 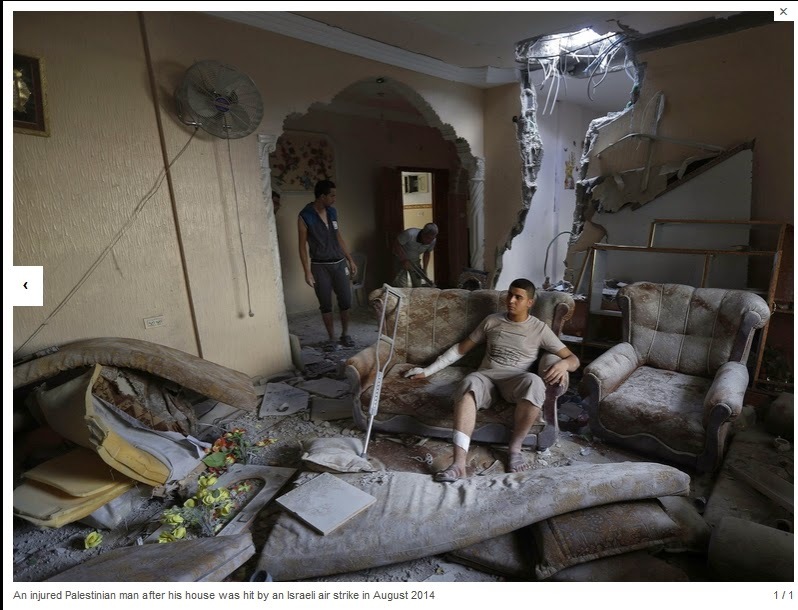 469 Israeli soldiers and 255 civilians were wounded (Bachmann et al. 2014). A report cited by the Sunday Telegraph newspaper records that 125 children were killed during the week 15-22 July 2014, including 59 on 20th July. On the 14th day of Israel’s 50-day assault ‘An open letter for the people in Gaza’, co-authored by 24 signatories from Italy, the UK and Norway, was published by the medical journal The Lancet, initially online and subsequently in print (Manduca et al. 2014a). One of the signatories provided eyewitness accounts of the medical consequences for the civilian population, while working clinically at the largest trauma centre in Gaza during the first weeks of the assault. The letter was endorsed online by more than 20,000 signatories. The Lancet published 20 letters in hard copy editions, divided equally between authors criticising and supporting the Open Letter. Some correspondents declared that medicine “should not take sides” and that those who speak out against the consequences of war for civilians incited hate or introduced politics “where there is no place for it” (see, for example, Konikoff et al. 2014). Others described the letter as “anti-Jewish bigotry, pure and simple” (Marmor et al. 2014), although at least one of the authors of the ‘Open Letter’ was Jewish, and the word “Jewish” did not appear in the letter. Similar charges were made in the lay press, both within Israel and elsewhere (see Simons 2014, for example). One of the letters published in response to the ‘Open Letter’ was co-authored by seven Jewish health professionals in South Africa (London et al. 2014). They suggested that “remaining neutral in the face of injustice is the hallmark of a lack of ethical engagement typical of docile populations under fascism”. They had witnessed and exposed some of the worst excesses of state brutality under apartheid, and had been harassed, victimised or detained for being anti-apartheid activists. They pointed out that they did not have the opportunity to air their views in their national medical journal, which suppressed public statements made by concerned health professionals and labelled such appeals for justice and human rights as ‘political’. They expressed support for The Lancet’s decision to permit a discussion of the professional, ethical, and human rights implications of the conflict in Gaza, emphasizing that it is appropriate for health professionals to speak out on matters that are core to their professional values. After 20 responses to the ‘Open Letter’ had been published, its authors accepted The Lancet’s invitation to reply (Manduca et al. 2014b). They denied any financial conflicts of interests, as had been alleged, and listed the variety of experiences and affiliations that had led to their support for Palestinian society. Pepys suggested that the behaviour of Dr Horton, editor of The Lancet, was “consistent with his longstanding and wholly inappropriate use of The Lancet as a vehicle for his own extreme political views, which had greatly detracted from the former high standing of the journal.” (quoted in Simons 2014). The article in The Telegraph also alleged that two of the authors of the Open letter – one of them Chinese – have sympathies with the views of “an American white supremacist” (Simons, 2014), following the mistaken forwarding of emails, for which both individuals subsequently apologised. When one of the authors of the ‘Open Letter’, the Norwegian doctor Mads Gilbert, who has worked clinically in Gaza during every Israeli assault on the Strip since 2006, was voted “Norwegian Name of the Year” in a national poll in December 2014, Pepys and eight other doctors wrote to the largest Norwegian newspaper, VG, to complain about his silence on the ‘loathsome hatred and racism’ of his co-authors. They asked for his national award to be reconsidered (Cohn et al. 2015). The Lancet Ombudsman published her report online on 17 October (Wedzicha, 2014). She said that she had received many emails and letters, some supporting and others opposing the position expressed in the ‘Open Letter’, and that some of them had been inappropriate in tone and of a personal nature. She stated that it was “entirely proper that medical journals and other media should seek to guide and reflect debate on matters relevant to health, including conflicts”. She was not persuaded by calls for retraction of the ‘Open Letter’, “I do not believe that sufficient grounds for retraction have been established, and this would make other letters referring to the publication in question difficult to interpret”. The authors were criticised for not having disclosed at the time of submission “any financial or other relationships that could be perceived to affect their work”, and she indicated that she would be asking the journal’s editors to put a policy in place as soon as possible to rectify this. The Ombudsman criticised the authors for not referencing in their original letter the source for their statement about the possible use of gas in Gaza. The Ombudsman’s most serious criticism of the letter was the “regrettable statement” that, because only 5% of Israeli academics had supported an appeal to the Israeli government to stop the military operation in Gaza (Gur-Arieh 2014), the authors had been “tempted to conclude that…the rest of the Israeli academics [had been] complicit in the massacre and destruction of Gaza”. Editors have disagreed on whether political issues should be addressed in scientific journals. For example, the American Diabetes Association issued a statement, signed by several editors of leading diabetes and endocrine journals, indicating that they “will refrain from publishing articles addressing political issues that are outside of either research funding or health care delivery” (American Diabetes Association 2014). In response, a commentary signed by the current and two previous editors-in-chief of the European Journal of Public Health, one of whom has longstanding and very extensive collaborations with Israeli colleagues (McKee et al. 2015), voiced strong support for The Lancet, arguing that medical journals cannot ignore the political determinants of health, including those arising from conflicts. They noted, “It seems strange that it was the diabetes community that feels it necessary to take this decision,” noting how the global epidemic of diabetes, fuelled by forcing markets open to energy-dense food, reflects a policy identified primarily with Republicans rather than Democrats in the United States. Soon after Israel’s 2014 assault, Physicians for Human Rights-Israel (PHR-Israel) assembled a medical fact-finding mission (FFM) of 8 international medical experts, unaffiliated with Israeli or Palestinian parties. Four had expertise in the fields of forensic medicine and pathology; four others were experts in emergency medicine, public health, paediatrics and paediatric intensive care, and health and human rights. The FFM made three visits to Gaza between 18 August and November, 2014. The principal conclusion in the report of the FFM (Bachmann et al. 2014) is as follows: The attacks were characterised by heavy and unpredictable bombardments of civilian neighbourhoods in a manner that failed to discriminate between legitimate targets and protected populations and caused widespread destruction of homes and civilian property. Such indiscriminate attacks, by aircraft, drones, artillery, tanks and gunships, were unlikely to have been the result of decisions made by individual soldiers or commanders; they must have entailed approval from top-level decision-makers in the Israeli military and/or government. The FFM (pp 98-99) listed many examples “suggestive of several serious violations of human rights and international humanitarian law”, including disproportionality, attacks on medical teams and facilities, and denial of means of escape. They also reported (pp 53-55) evidence which suggested the use of anti-personnel weapons and gas during the conflict. These accusations have also been made in reports by Amnesty International (Amnesty, 2014), Human Rights Watch (Human Rights Watch, 2014), B’Tselem (B’Tselem – The Israeli Information Centre for Human Rights in the Occupied Territories, 2015) and the United Nations (OCHA, 2014, 2015). The FFM called on the UN, the EU, the US and other international actors to take steps to ensure that the governments of Israel and Egypt permit and facilitate the entry of investigative teams into Gaza, including experts in international human rights law and arms experts, and noted (in January 2015) that this had still not been done, months after the offensive. Specifically, the UN Commission of Inquiry has been denied entry to Israel, the West Bank and Gaza (See: United Nations Independent Commission of Inquiry on the 2014 Gaza Conflict). The FFM recommended further urgent and rigorous investigation into the impact of this war, as well as the previous armed conflicts, on public health, mental health and the broader social determinants of health in Gaza, adding that, in its assessment, the implacable effects of the on-going occupation itself would have to be taken into account. There have been subsequent accusations by Amnesty International of war crimes committed by both sides of the conflict (BBC 2014; Linfield 2015). The Lancet under the editorship of Richard Horton has published, for more than the past 10 years, many disgracefully dishonest and unacceptable articles about Israel. Horton has made no secret of the fact that these pieces express his own very strongly held personal views which he has published elsewhere in detail. Last July, at the height of the Gaza war, The Lancet published a piece by Manduca and others which was at an unprecedentedly low level. It combines outright lies and slanted propaganda viciously attacking Israel with blood libels echoing those used for a thousand years to create anti-Semitic pogroms. It completely omitted the Hamas war crimes which initiated and sustained the conflict. There was no historical or political background. Crucially there was no mention of any conflict of interest among the authors despite the fact that Manduca and all the co-authors have long participated enthusiastically in not just anti-Israel but frankly Jew hating activities. All these individuals are close colleagues and collaborators of Horton. Many of us have been trying as hard as we can since the Manduca publication to get it retracted, to get an apology for it and to convince Elsevier, the owners of The Lancet to both sanction Horton and to prevent any repetition of such shameful and unacceptable behaviour. So far there has been no satisfactory response. Indeed Horton continues to stand by the Manduca piece and refuses to accept that it is not factual and correct. The goal of the attached protest to Elsevier document is to get the [‘Open letter’] retracted. I hope that all of you will sign it. Meanwhile colleagues at the Rambam Hospital have, as you know, invited Horton to Israel and shown him the reality of Israeli medicine, as opposed to the vicious anti-Semitic fantasy he has promoted. They have engaged in long discussions with him. Despite his refusal to either retract or apologise for his publications some colleagues are apparently convinced that Horton has reformed. Others, including Professor Peretz Lavie, the President of the Technion, who met with him for one and a half hours, were unconvinced by Horton’s presumed change of heart. My view is that the Manduca piece was written by dedicated Jew haters, though some choose to mask this by being overtly passionate only about hating Israel. But they all agree that a Zionist/Jewish lobby or power group controls the world and its destiny and must be brought down. The Manduca piece would have made Goebbels proud and Streicher would have published it in Der Stürmer as happily as Horton published it in The Lancet…… anybody who was not a committed anti-Semite would firstly not have published (the Open letter), and secondly would have retracted instantly when the first author’s long track record of blatant anti-Semitism were exposed. In Horton’s case he already knew and liked her and her co-authors well, fully aware of all their vicious anti-Israel and frank, overtly anti-Semitic backgrounds. ‘DO NOT CITE The Lancet in your work – Their content includes fraudulent data’ (Lewis 2015). As a result of this correspondence, 396 people have co-signed the complaint, including the statement “The collaboration of the academic community with Reed Elsevier and its journals is based on trust in their maintaining high ethical and scientific standards. None of us is under any obligation to submit and review material for publication in their journals or to serve on their editorial or advisory boards”. The heavy-handed escalation of the dispute and the use of ad personam charges of anti-Semitism to suppress freedom of expression in medical journals are not new. In 1981, a short article in World Medicine informed medical readers who were considering attending the ‘medical olympics’ in Israel that the event was going to be held on the site of a massacre ordered by the then prime minister of Israel (Sabbagh 1981). The pro-Israel protest led eventually to the demise of the journal (O’Donnell 2009). In 2001, pro-Israel objections to the historical background in an article on ‘The origins of Palestinians and their genetic relatedness with other Mediterranean populations’ published in Human Immunology (Arnaiz-Villena et al. 2001) led Elsevier to remove it from the public record. In 2004, an article entitled ‘Poverty, stress and unmet needs: life with diabetes in the Gaza Strip’ (Tsapogas 2004) published in Diabetes Voice was expunged from the public record and the editor resigned, again because of charges of political bias. In 2004, there was an outcry from pro-Israel doctors when the British Medical Journal published a personal view entitled ‘Palestine: the assault on health and other war crimes’ (Summerfield 2004). The editor received nearly a thousand emails, many of them personally abusive and alleging anti-Semitism (Sabbagh 2009). In 2009, commenting on several British Medical Journal papers exposing and discussing these issues, a senior British Medical Journal editor concluded that authors, editors, publishers, advertisers, and shareholders should ignore orchestrated email campaigns (Delamothe 2009). Citing another editor he suggested that the best way to blunt the effectiveness of this type of bullying is to expose it to public scrutiny. The “Open letter to the People of Gaza” was written in deep concern and outrage during a military assault on the Gaza Strip, killing large numbers of civilians, including women and children, on a daily basis. The world was shocked and appalled. The content and tone of the letter were controversial, as shown by subsequent correspondence in The Lancet, for and against. The Lancet Ombudsman criticised aspects of the letter but neither she nor a former Chair of COPE considered that it should be withdrawn. The involvement of 396 senior researchers in a mass effort to force Reed Elsevier to withdraw the letter is the latest in a series of heavy-handed interventions to stifle media coverage of the Israel-Palestine issue and should be resisted. Richard Horton should be supported as an exceptional editor of The Lancet, in the best traditions of the Journal. The “unfinished business” of Operation Protective Edge is not whether the “Open Letter to the People of Gaza” should be retracted, but in the light of reports by Physicians for Human Rights-Israel, Amnesty International, Human Rights Watch, the United Nations and others, to determine whether and by whom, from either side of the conflict, violations of international human rights and humanitarian law were committed. Will the 396 signatories of the complaint to Reed Elsevier give their support to that objective? Graham Watt has long term academic links with the Institute of Community and Public Health at Birzeit University; has post-doctoral colleagues working at Birzeit University and the University of Hebron; chairs the steering committee of The Lancet-Palestinian Health Alliance* and is a Trustee of the UK charity Medical Aid for Palestinians. He did not sign the Open Letter for the People of Gaza. Iain Chalmers was employed by UNRWA in Gaza in 1969 and 1970, and has returned there (self-funded) at intervals since, most recently to help support the development of Evidence-Based Medicine. He was a member of the steering committee for The Lancet series on Health and Health Services in the occupied Palestinian territory, and serves on the steering committee of The Lancet-Palestinian Health Alliance*. He has supported the Gaza Oxford Brookes University Scholarship scheme financially, and makes regular financial contributions to Physicians for Human Rights–Israel, Jews for Justice for Palestinians, Jewish Voice for Peace, together with other charities supporting human rights. He is a co-author of the Open Letter for the people of Gaza. Rita Giacaman is a Palestinian faculty member at the Institute of Community and Public Health, Birzeit University and a member of the steering committee of The Lancet-Palestinian Health Alliance*. Mads Gilbert is a member of the Norwegian Palestine Committee and co-founder of Norwegian Aid Committee (NORWAC); has received funding from the Norwegian Government for medical work in Lebanon occupied Palestine; and has travelled to occupied Palestine, including Gaza, on various medical missions with paid or unpaid leave from the University Hospital of North-Norway for WHO, UNRWA, NORWAC, and the Norwegian Palestine Committee. He has worked as a clinician in Al-Shifa Hospital during recent Israeli incursions (2006, 2009, 2012 and 2014). He is a peer reviewer for conferences and publications of The Lancet-Palestinian Health Alliance*. He delivered testimonies for the Report of the International Commission to enquire into reported violations of international law by Israel during its invasion of Lebanon, to the “Goldstone Commission” and to the current UN Independent Commission of Inquiry on the 2014 Gaza Conflict. He is a co-author of the Open letter for the people of Gaza. John Yudkin is a peer reviewer for conferences and publications of The Lancet-Palestinian Health Alliance* and a member of its steering committee. *The Lancet-Palestinian Health Alliance (LPHA) is a loose network of Palestinian, regional and international researchers who are committed to the highest scientific standards in describing, analysing and evaluating the health and health care of Palestinians, to contributing to the international scientific literature and to developing local evidence-based policy and practice. The principal activity of the LPHA is an annual scientific conference, selected abstracts from which have been published by The Lancet. Arnaiz-Villena A, Elaiwa N, Silvera C, Rostom A, Moscoso J, Gómez-Casado, Allende L, Varela P, Martínez-Laso J (2001). The origins of Palestinians and their genetic relatedness with other Mediterranean populations. Human Immunology 62:889-900. Konikoff T, Konikoff FM, Shoenfeld Y (2014). Israel-Gaza conflict. Lancet 384:491. Lewis BS (2015). ‘DO NOT CITE The Lancet in your work – Their content includes fraudulent data’. Email sent to 101 recipients, 30 March. London L, Sanders D, Klugman B, Usdin S, Baldwin-Ragavan L, Fonn S, Goldstein S (2014). 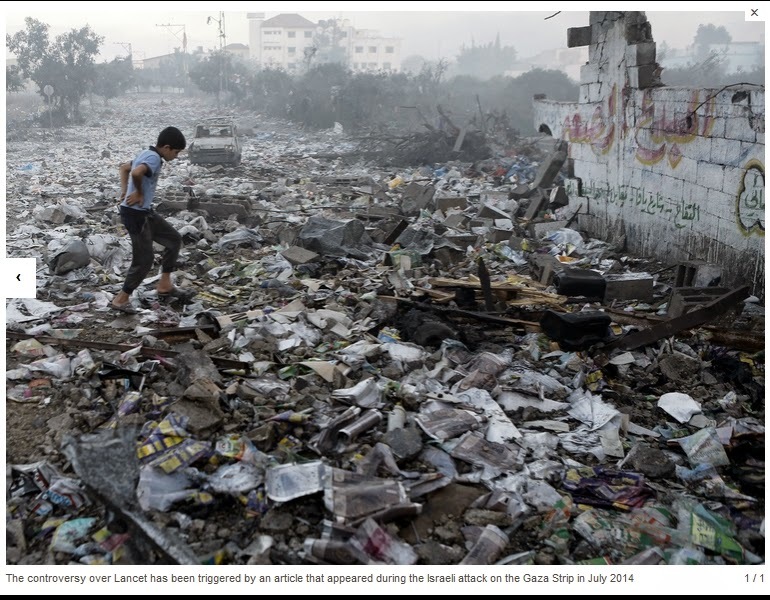 Israel–Gaza conflict. Lancet 384:e34. Manduca P, Chalmers I, Summerfield D, Gilbert M, Ang S, Hay A, Rose S, Rose H, Stefanini A, Balduzzi A, Cigliano B, Pecoraro C, Di Maria E, Camandona F, Veronese G, Ramenghi L, Rui M, DelCarlo P, D’agostino S, Russo S, Luisi V, Papa S, Agnoletto V, Agnoletto M (2014b). Israel-Gaza conflict. Authors Reply. Lancet 384:746. McKee M, Mackenbach JP, Allebeck P (2015). Should a medical journal ever publish a political paper? European Journal of Public Health 25:1-2. O’Donnell M (2009). Stand up for free speech. BMJ 338:512-13. Pepys M (2015). Complaint to Reed Elsevier. Email sent to 58 Israeli recipients. 24 February. A copy of the full text of Pepys’ email (with recipients’ names and email addresses removed) is available to view here. Sabbagh K (1981). Mere words: the blood on Begin’s hands. World Medicine 17:93. Sabbagh K (2009). Perils of criticizing Israel. BMJ 338:509-11. Summerfield D (2004). Palestine: the assault on health and other war crimes. BMJ 329:924. The doctors threatened to boycott the journal if Reed Elsevier does not “enforce appropriate ethical standards of editorship”. Observers say it is the most serious threat to The Lancet and free speech in academia since the journal’s first campaigning editor, Thomas Wakley, faced a series of lawsuits after attacking the incompetence, nepotism and greed of the medical elite shortly after it was founded 192 years ago. Horton, who has edited The Lancet since the mid-1990s, has built it into a widely admired beacon for global health. But his uncompromising approach has made him enemies, especially among those who see him as a supporter of the Palestinian cause. He established a Lancet-Palestine Alliance with academics in the West Bank, to improve coverage of health issues in the region. The trigger for the assault on his editorship was an article published last July during the Israeli attack on the Gaza Strip, which included eyewitness accounts of the medical impact on civilians but, controversially, did not include an acknowledgement of Hamas’s role in the war. “An open letter to the people of Gaza” provoked a fierce debate in The Lancet’s correspondence columns, with some complaining it was “anti-Jewish bigotry” and others that medicine “should not take sides”. It later emerged that two of the signatories of the open letter had circulated emails containing a video suggesting sympathies with an anti-Semitic American white supremacist. Both apologised and Dr Horton also subsequently apologised for the “offensive video” during a visit to Israel. But he did not withdraw the article. In October, the Lancet’s ombudsman investigated the complaints and criticised the open letter but said this did not justify retracting it. However, this did not satisfy the journal’s critics and the dispute has rumbled on. In the latest and most serious development, the protesters, led by Professor Sir Mark Pepys of University College London, mustered 396 professors and specialists from around the world to sign a complaint which was submitted to the board of Reed Elsevier last month. The complainants demand that the publisher retract the open letter, apologise for its publication and ensure “any further malpractice at The Lancet is prevented”. They threaten an academic boycott of Reed Elsevier, which publishes over 2,000 scientific journals, if their demands are not met. “None of us is under any obligation to submit and review material for publication in their journals or to serve on their editorial or advisory boards,” it says. A further 150 doctors have added their signatures since the complaint was submitted on a website set up to co-ordinate the protest at concernedacademics.org. In response, a rival group of 300 doctors, led by Professor Graham Watt of the University of Glasgow, has rebutted the criticisms on their own website, handsoffthelancet.com. They argue Richard Horton is “an exceptional leader in global health”, that politics is “intrinsic to many health issues and a legitimate subject for commentary” and dismiss references to “extremist hate propaganda” as “unhelpful hyperbole”. “The heavy-handed attempt to force The Lancet to withdraw the open letter is the latest in a series of attempts to stifle media coverage of the Israel-Palestine conflict and should be resisted,” they say. 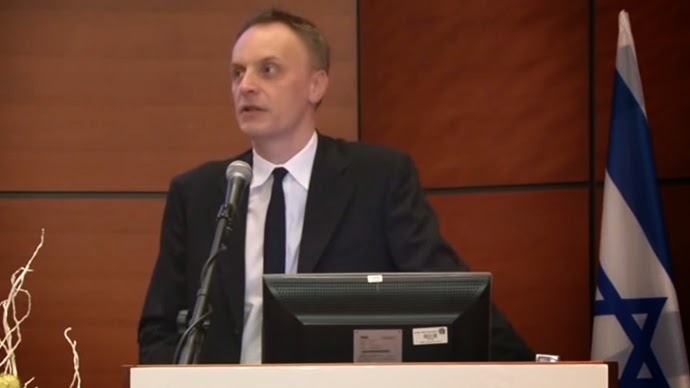 On Wednesday, the Lancet’s international advisory board, comprising 19 professors, wrote to Reed Elsevier to express its “unreserved support” for Richard Horton. Fiona Godlee, editor of the BMJ, which is to publish a commentary on the dispute, said it had suffered similar attacks over its coverage of the Israeli-Palestinian conflict. “Health is a deeply political issue. There is a long history, when Israel/Palestine gets discussed, of the medium being attacked. I don’t think that The Lancet should retract the open letter. No one from Reed Elsevier was available for comment. Richard Horton has taken The Lancet back to its radical roots, speaking truth to power, holding the powerful to account and giving a voice to those who are not heard, like the children of Gaza. Most editors follow their readers, but the way Richard has led on global health is extraordinary. The 500 complaining academics remind me of the White Russians, continuing to fight a battle that has been lost. The Committee on Publication Ethics has ruled there are no grounds for retracting the open letter, as has The Lancet’s ombudsman. Reed Elsevier, the journal’s owner, has sensibly stayed silent to avoid compromising the editorial independence of The Lancet, its most valuable possession. Have all the academics actually read the highly intemperate, sometimes inaccurate letter they have signed? Academics should not be in the business of stifling free speech and putting their name to such bad prose. Open and full debate is fundamental to both science and politics, and the right response to something that you disagree with is to encourage, not suppress, debate.